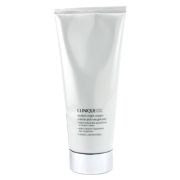 Clinique CX cream for stretch marks is very popular among my friends. While some of them say it works like a miracle, others are a little bit more reluctant. When I’ve asked them what they think of this cream, four of them said that it visibly reduces stretch marks and the skin looks firmer after one month of use, while the other three said that it reduces those nasty marks indeed, but the skin doesn’t look firmer. What do you say? Have you tried it?